Welcome to Let There Be Light Antiques! If your home is looking a little dull, you have come to the right place. Our company specializes in brightening up even the darkest of rooms. 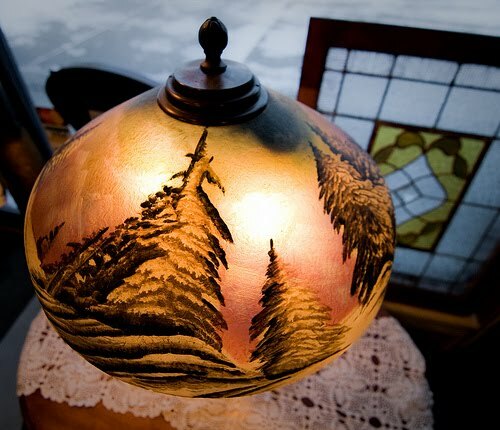 Serving the Twin City area of Minnesota, Let There Be Light has the finest selection of antique lamps throughout the area. We buy, sell and restore lamps and light fixtures at very reasonable rates. Maybe you have an antique family heirloom that you once thought was beyond repair? We know it can be a stressful process to find a reputable company to fix your valuables. Let There Be Light’s professional and honest staff has the tools and expertise to get your antique in working order again. Our company also does custom consultations for our clients. If you don’t know what type of style you want, we can assist you with the process. We do everything from help you select one lamp for your home to outfit your entire office building with antique light fixtures. We have been in the lighting business for 25+ years, at our current location for 11 years. Let us help with all your lighting needs.